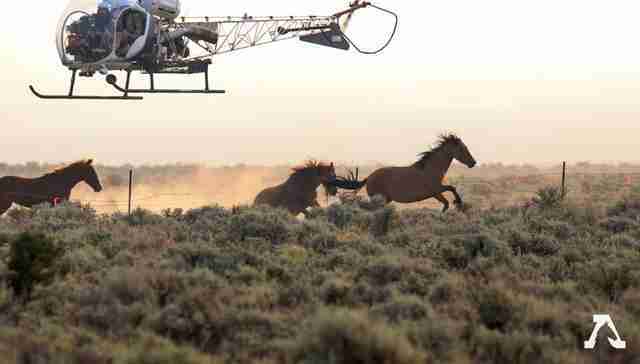 The wild horses ran for their lives as noisy helicopters chased after them. The helicopters dipped down low and nearly clipped the horses’ heads. 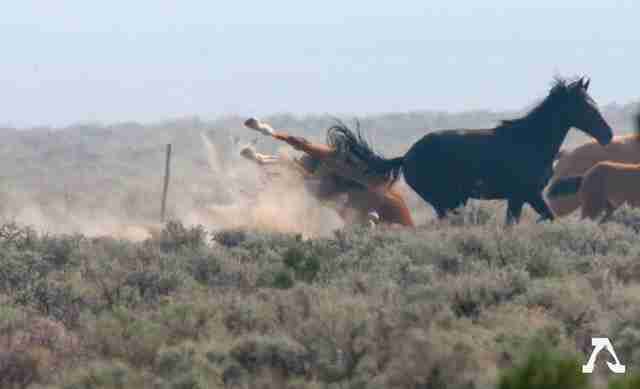 The terrified animals were so focused on galloping away that some of them didn’t see the barbed wire fence that suddenly emerged in their path, and they toppled headfirst over the fence, crashing hard into the ground. This was the scene an observer with the American Wild Horse Campaign watched on Tuesday at the Bible Springs Complex and the Sulphur Herd Management Area (HMA) in Southern Utah, two areas designated as public lands. This week, the Bureau of Land Management (BLM), a U.S. government agency, was trying to round up and remove up to 250 wild horses from these areas — but for the worst reason. 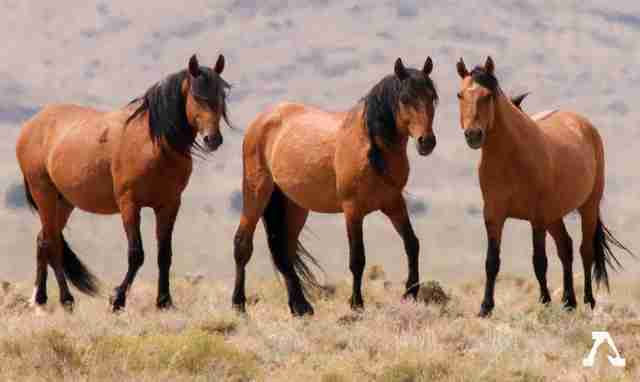 There are currently around 70,000 wild horses in the U.S., and they’re technically protected under federal law. However, the BLM believes there are too many wild horses running through public lands, and that they’re overgrazing and destroying the environment. Yet animal welfare advocates believe the BLM’s real reason for getting rid of horses is to make room for cattle. The way the BLM captures horses is very concerning to Kuhn. 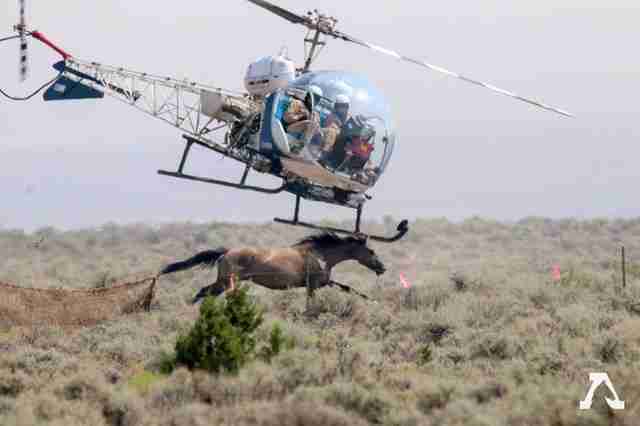 The helicopters would be particularly stressful to the horses. 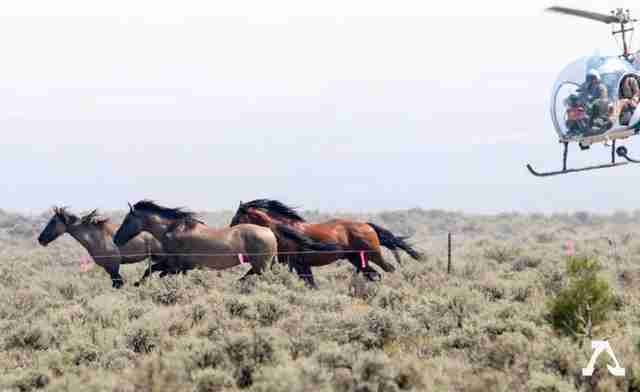 What’s more, the BLM intentionally tries to separate the stallions from the rest of their families, and place the stallions in one enclosure together. But this creates issues since the stallions aren’t familiar with each other. In the wild, a mature stallion will lead a herd of mares and babies and stallions are often highly competitive with each other. 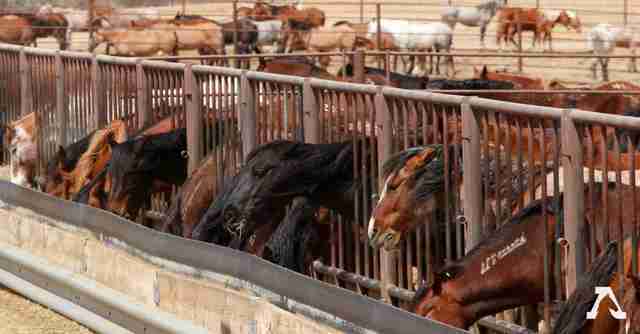 After being rounded up, wild horses are usually sent to holding facilities, which Kuhn describes as “small, crowded pens” similar to cattle feedlots. 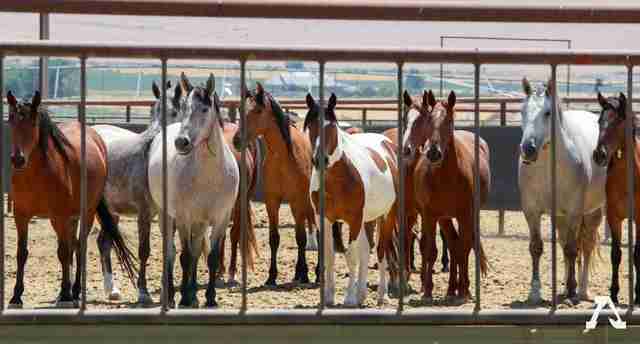 While these facilities are meant to be “short-term,” horses often stay at these facilities for three or four years. In the past, the BLM would send horses to slaughterhouses in Canada and Mexico, although this practice was eventually stopped. And last year, a House of Representatives committee voted to permit the BLM to shoot or lethally inject as many as 90,000 “excess” wild horses and burros. Thankfully, this plan never came to fruition, and the horses remain in holding facilities — however, animal advocates continue to worry about the future for wild horses. 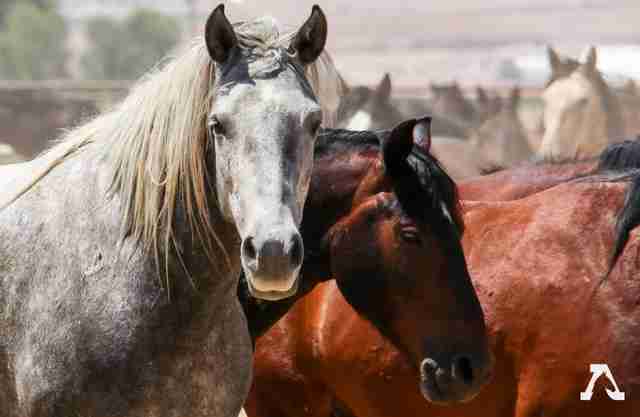 While no horses were killed at the roundup on Tuesday, the BLM reported that four horses died during other roundups in Utah this week. Another horse was killed for having a clubbed foot, and yet another for being blind. The fourth horse was euthanized for having a broken shoulder, and Kuhn believes it’s possible the horse injured himself during the roundup. The BLM did not immediately respond to The Dodo’s request for comment. In Kuhn’s opinion, the best way to prevent wild horse populations from getting out of control is to use safe and humane fertility control, and to make sure the horses’ natural predators are protected. Of course, another solution is to cut down on cattle grazing, Kuhn said. At the moment, the BLM in Utah allows only 1,956 wild horses and burros to live on 2.5 million acres of public land, which works out to be about one horse for every 1,278 acres, Kuhn explained. On the other hand, the BLM allows approximately 108,300 cows or calf pairs on 22 million acres on public land in Utah. That’s about 203 acres per cow or calf pair. “There’s overwhelmingly more livestock on our public lands than there are wild horses, and overwhelmingly more livestock in wild horse habitat than there are wild horses,” she said. 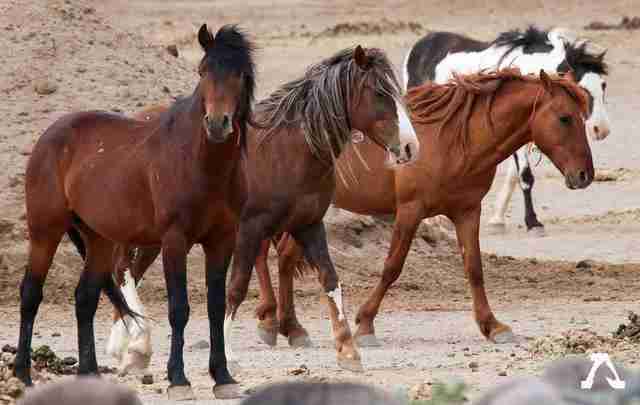 To help wild horses in the U.S., you can make a donation to the American Wild Horse Campaign.